Sophie Parker, principal of Sophie Parker & Associates, LLC, is an executive coach and organization development consultant, whose leadership training is grounded in experiential learning. Using an approach that explores personal presence, body language, vocal quality, and confidence, Sophie gives clients new ways to perceive and resolve obstacles. Her executive programs foster leadership by creating awareness and enhancing tactical skills. Versed in workplace dynamics, Sophie coaches on “managing upwards” through political savvy and influence. She instructs on improving interpersonal relationships via communication, feedback, and delegation. Sophie strives to help individuals identify their strengths and use them to meet their goals and attain their vision. Her background in theatre gives her a unique ability to empathize and interact with clients. As a respected professional with more than a decade of experience, Sophie is a Professional Associate for the Gestalt International Study Center on Cape Cod. In keeping with her love of self-expression and “in the moment” awareness, she also runs the Boston Facilitators Roundtable Experiential Lab. This is a bi-monthly lab that employs games and simulations to teach leadership and team-building skills. 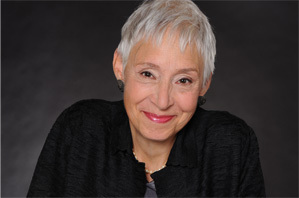 Prior to establishing her own coaching and organization development firm, Sophie worked for 8 years in executive education in partnerships and content development at The OTTER Group, Inc. Major projects included MIT-Sloan School of Business, Merrill Lynch, Harvard-Kennedy School of Govern­ment, The Drucker Foundation, and Camp Dresser & McKee. In this capacity, she spearheaded the use of distance learning technologies. Today Sophie Parker & Associates draws from the strengths of colleagues to provide a full-service resource that includes executive coaching and transformational strategies.